Rabbi Shai Piron has threatened to cancel funding for those Yeshivot which continue to harass select students on the basis of their vote in the municipal elections, Arutz 7 reports. The directive followed reports that select Yeshiva students following the Lithuanian hareidi community stream have found themselves thrust out of their Yeshivot for choosing to vote for the breakaway Ashkenazi hareidi party of Rabbi Shmuel Auerbach, instead of mainstream party Degel HaTorah, in Jerusalem's municipal elections. A letter has been dispatched accordingly to the administrations of Jerusalem Yeshivot and Kollel centers stating that "we have received complaints that certain institutions have expelled students following the municipal elections who voted, or intended to vote, for parties that were deemed not within the 'spirit' of the institution's administration [or policies]." "Institutions which have been found to have taken coercive measures against those students to vote for one party, or to refrain from voting for a certain party, or who have hurt or discriminated against students to cause them to vote according to the institutions own [political] convictions, will have measures enacted against them, including possible financial repercussions." The statement follows mounting tensions over the rightful successor to mainstream hareidi leader Rabbi Yosef Shalom Elyashiv, who passed away in July 2012. Degel HaTorah supporters have named R' Aharon Leib Shteinman, 99, as the successor, whereas R' Shmuel Auerbach's supporters have argued for his succession as the main leader of Israeli hareidi jewry. R' Shteinman was attacked last week by a man in his 20s, in an incident which has been assumed to be motivated by the outcome of the Jerusalem municipal elections. 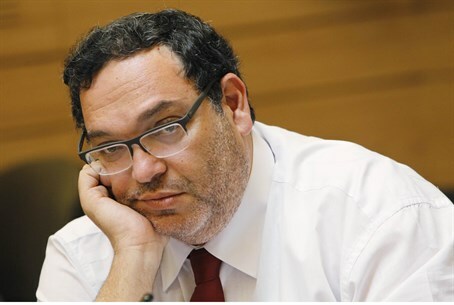 Piron continued that "we will not allow activists to make the Ministry of Education into their personal political arena" or to "coerce students, whether in [elementary and high] schools or in yeshivot. Hareidi communities, like all communities in Israel, deserve an educational system which is professional and non-partisan. Anyone who refuses to allow this will not be subsidized [by the government]."